KANSAS CITY – A Texas man was convicted by a federal trial jury Tuesday for his role in an elaborate, multi-million-dollar fraud scheme in which conspirators impersonated North Kansas City-based Cerner Corporation in business and legal activities, according to a media release from the U.S. Attorney’s office. Cerner Corp.’s headquarters in North Kansas City. CREDIT ELANA GORDON / KCURSuresh Mitta, also known as Suresh Reddy or Mitta Suresh, 50, of Richardson, Texas, was found guilty of the single count of conspiracy to commit wire fraud contained in a Nov. 16, 2016, federal indictment. Mitta was the chief technology officer (CTO) for several related entities owned and operated by Albert Davis, 57, also of Richardson. Conspirators engaged in a scheme to use Cerner Corporation’s reputation and standing in the medical field to manipulate business transactions and court proceedings in their favor. Multiple victims suffered millions of dollars in losses from Aug. 25, 2008, to Feb. 19, 2015. Criminal conduct involved perjured testimony, doctored trial exhibits, a manipulated multi-million dollar civil verdict, the use of fake people with fake email accounts, impersonated companies, fake business documents and a phalanx of over 70 entities with more than 50 bank accounts. Davis, who pleaded guilty to leading the conspiracy in a separate but related case, was sentenced to 12 years in federal prison on April 24, 2017. The court also ordered Davis to pay $19,151,555 in restitution to the victims of his fraud scheme. Four additional co-conspirators (in separate but related cases) also have pleaded guilty and been sentenced. In order to impersonate Cerner Corporation, Conspirators created a fake Cerner business entity for a similarly-named company, Cerner, LLC. 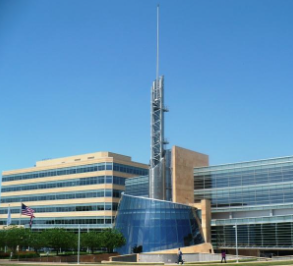 Conspirators opened a fake Cerner bank account, registered a fake Cerner Internet domain and leased virtual office space for a fake Cerner address in Kansas City, Mo. They created fictitious employees from Cerner Corporation – including both fictitious identities and impersonating actual employees – to communicate with others. Conspirators fabricated documents, price quotes, agreements and invoices, which were all made to appear to be authentic Cerner Corporation documents, when they were not. Conspirators impersonated Cerner Corporation in the fraudulent sale of a purported newly developed MRI system to Dallas Medical Center (DMC), which paid over $1 million to what they believed was Cerner Corporation, but which turned out to be nothing more than one of Davis’ shell companies. Evidence introduced during the trial indicated that Mitta, impersonating a Cerner employee, represented himself as the company’s senior physicist in meetings with the president of DMC and their attorneys. When DMC was not acting quickly enough on the deal, conspirators created fake e-mail accounts for prominent cardiologists in Dallas. Conspirators then used these fake email accounts to draft e-mails, which stated that these cardiologists could not wait to get the MRI system at DMC. Conspirators then forwarded these e-mails to DMC, which created the impression of demand for the system at DMC. Conspirators also provided “references” for DMC to check, which turned out to be more fake doctors and co-conspirators playing the role of satisfied business partners. Conspirators provided false and misleading information and testimony during the litigation of several lawsuits. The false and misleading testimony was regarding business deals where the conspirators had impersonated Cerner Corporation. For example, when Dallas Medical Center learned of the fraud, Davis sued them (iHeart Care DMC Holdings, LLC. v. Dallas Medical Center, LLC., et al., Cause No. 13-09460, in Dallas County, Texas). Davis, Mitta, and others then provided false testimony in depositions in the resulting lawsuit. According to court documents, the Dallas Medical Center scheme was just a sliver of the fraud Davis, Mitta and their co-conspirators committed. In another example, conspirators brought a lawsuit against Korean company ISOL Technology. After testifying falsely about business dealings with Cerner Corporation and offering fake exhibits to support his claim of damages, conspirators received a jury award of $24 million in the 2014 trial in LBDS Holding Company, LLC v. ISOL Technology, Inc., et al., Case No. 6:11-CV-428-LED, in the Eastern District of Texas. When the fraud was discovered, attorneys for ISOL Technology filed an emergency motion for sanctions against LBDS (Davis’ company). In addition to impersonating Cerner Corporation, conspirators used additional e-mail accounts to impersonate business entities and physicians in order to send communications designed to manipulate others in business transactions. Additionally, conspirators solicited investments using fabricated communications and documents from entities they created, including the entity created to impersonate Cerner Corporation. Those misrepresentations included false financial documents, altered MRI images and false claims that used MRI systems were newly developed technology. Conspirators solicited millions of dollars in investments from physicians and other investors. Following the presentation of evidence, the jury in the U.S. District Court in Kansas City, Mo., deliberated for about two hours before returning the guilty verdict to U.S. Chief District Judge Greg Kays, ending a trial that began Monday, May 7, 2018. Under federal statutes, Mitta is subject to a sentence of up to 20 years in federal prison without parole. The maximum statutory sentence is prescribed by Congress and is provided here for informational purposes, as the sentencing of the defendant will be determined by the court based on the advisory sentencing guidelines and other statutory factors. A sentencing hearing will be scheduled after the completion of a presentence investigation by the United States Probation Office.